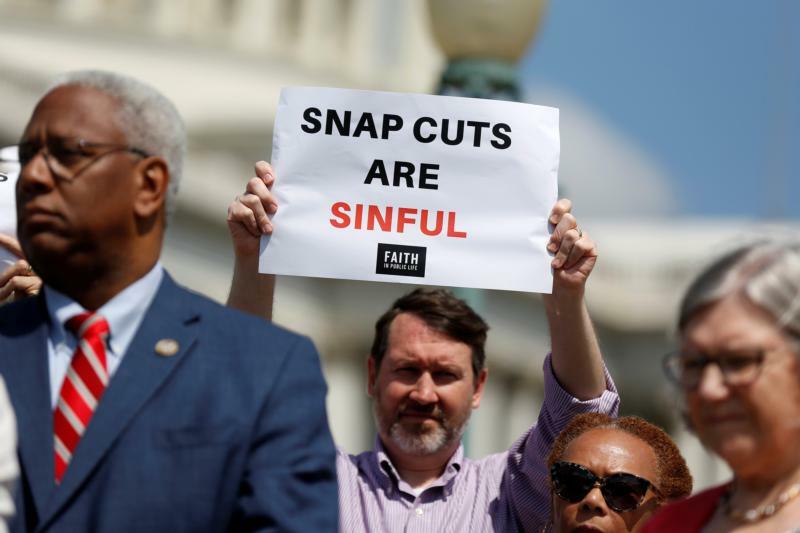 WASHINGTON (CNS) — The U.S. Conference of Catholic Bishops joined representatives of two leading Catholic charitable organizations in calling on a federal agency to withdraw or modify a plan to require some adults receiving food assistance to work or enroll in training programs or lose their government benefit. In a letter March 27 to the U.S. Department of Agriculture, the Catholic representatives said the proposed regulation “provides only barriers to food assistance while providing little to no additional support” for 1.2 million adults who would see their benefits end if they don’t meet the new government guidelines. “While we welcome efforts to strengthen the implementation of the Supplemental Nutrition Assistance Program to provide greater self-sufficiency, we are deeply concerned that the proposed would negatively impact access to necessary food and nutrition assistance while doing little to support access to programs that promote self-sufficiency,” they wrote. “Instead of working to reduce access to food as a means of achieving self-sufficiency, the USDA should work toward fully implementing many of the reforms included in the Agriculture Improvement Act of 2018 which would strengthen state education and training programs and provide more meaningful and effective means for assisting individuals in preparing for and finding dignified work,” the letter said.